Most movies adapted from television shows rarely work, especially when a new cast and new characters are involved. Who would have thought that 21 Jump Street would have worked so well that a sequel would follow? 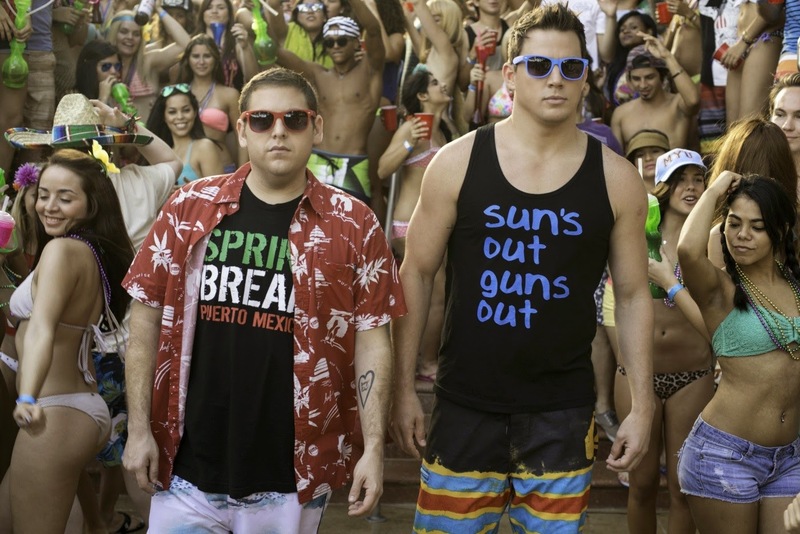 Channing Tatum and Jonah Hill are back for another case as Jenko and Schmidt, respectively. The old church at 21 Jump Street that served as the police headquarters in the first film has been converted back to a church. How convenient for them that there is also a church across the street at 22 Jump Street that can now pose as the police headquarters. Jenko and Schmidt are assigned their next case and this time it has them going under cover again as college students at MC State College. A new synthetic drug called WHYPHY is being passed around like candy, and one of the students dies of an overdose. The boys are given a picture of the girl getting the drug slipped to her, but the only identifiable feature of the dealer is a tattoo on his arm. Schmidt feels left out of their partnership after Jenko joins the football team and fraternity as fellow teammates Zook (Russell) and Rooster (Tatro) take him under their wing. Schmidt decides to pursue the case at a different angle by dating Maya (Stevens) who lives across the hallway from the victim. If you are thinking that this plot sounds exactly like the first movie, but now they’re in college instead of high school, you are correct in your assessment. 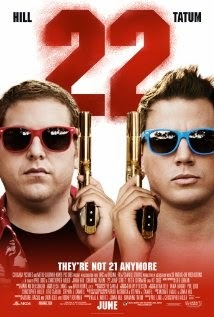 I was a bit worried when I first saw the trailer as it looked like a carbon copy of 21 Jump Street. In theory, this film should not work. Comedy sequels that completely rip off the jokes and plot of the first outing are typically insulting to the fans. Nick Offerman’s police chief has a not-so-subtle speech toward the guys describing how the police department was so happy with how the first task turned out that they want to send the boys out again on a similar case but with a bigger budget. This is exactly what studio executives pitch after a comedy makes the big bucks at the box office. They want the original cast to come back and make the same kind of movie again. The Hangover Part II is a prime example of why this is typically a horrible idea. That movie was a messy insult as it was the exact same movie as the first one. 22 Jump Street does that exact same thing, yet succeeds and surpasses expectations. Screenwriters Michael Ball, Oren Uziel, and Rodney Rothman have written about this exact commentary in their script. There are copious jokes and references as to how they are ripping off the first one. Even Mr. Tatum makes a reference to the premise of his movie White House Down at one point. Tatum and Hill have this unique chemistry that completely works and is the reason why this rebooted franchise succeeds. Having two cops that are complete opposites is by no means a new concept, but I think part of the charm and humor is grounded in how well they play off each other. While it may have been funny having Jonah Hill paired up with Seth Rogen or James Franco, it would be a completely different kind of story and tone all together. Schmidt and Jenko are exaggerated stereotypes of the images people label under Hill and Tatum. Hill wrote the stories for the films, so I can assume he played into his persona a bit and made Tatum that good looking but dumb jock frat boy that Hollywood has probably labeled him at some point in his career. 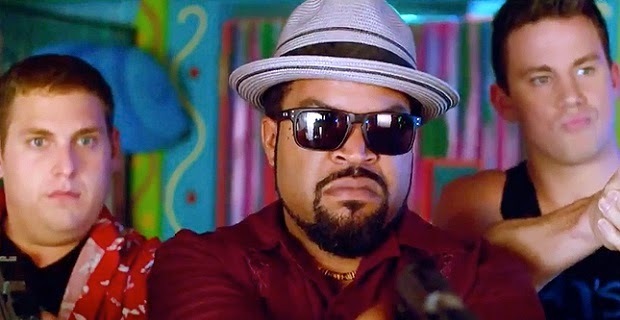 Ice Cube returns as Captain Dickson whose moments with Jonah Hill provide some of the best laughs in the movie. I’ll forgive him for making Ride Along. Dave Franco and Rob Riggle are back for cameos as prison inmates who offer some advice and help to Hill and Tatum. The directing team of Christopher Miller and Phil Lord are the men behind The LEGO Movie and Cloudy with a Chance of Meatballs. The LEGO Movie is another film of theirs that I would not have expected it to be as enjoyable as turned out to be. 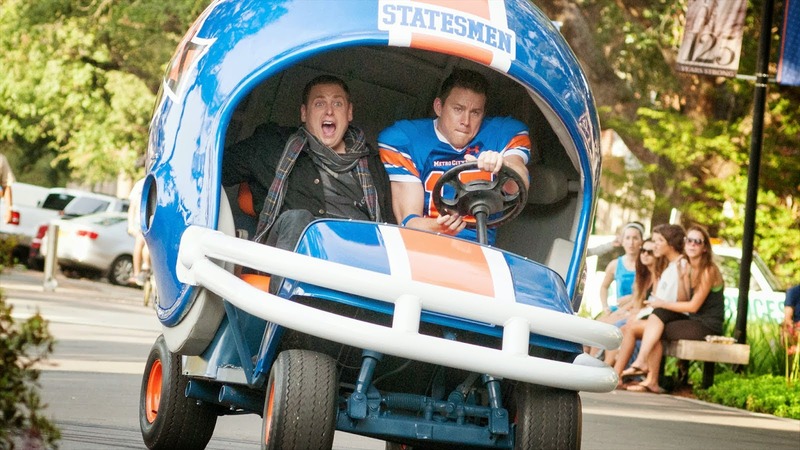 The laughs are pretty consistent throughout 22 Jump Street which was a surprise and a relief. It’s hard not to laugh when Jonah Hill gets in way over his head wtih some of the more dangerous aspects of his job. The movie easily could have gone downhill fast. The comedy isn’t all the clever or original, yet it delivers. This is the baffling thing behind the movie. Everyone involved knows we’ve seen frat movies, spring break scenes, shoot-outs, buddy movies, terrible sequels, franchises, and they make fun of all of that along the way. I give them major credit for pulling this off so well. Make sure to stay through the credits, for a hilarious sequence that left the whole audience in stitches. I’m not sure what was funnier, the sequence or how my mother-in-law completely lost it because she was laughing so loudly. Is it worth your trip to the movies? If you liked the first one, you will definitely enjoy the sequel. You can sign me up for 23 Jump Street.